From Cairo to Damascus and from Tunisia to Bahrain, Layla Al-Zubaidi and Matthew Cassel have brought together some of the most exciting new writing born out of revolution in the Arab world. This is a remarkable collection of testimony, entirely composed by participants in, and witnesses to, the profound changes shaking their region. Situated between past, present and future – in a space where the personal and the political collide – these voices are part of an ongoing process, one that is at once hopeful and heartbreaking. 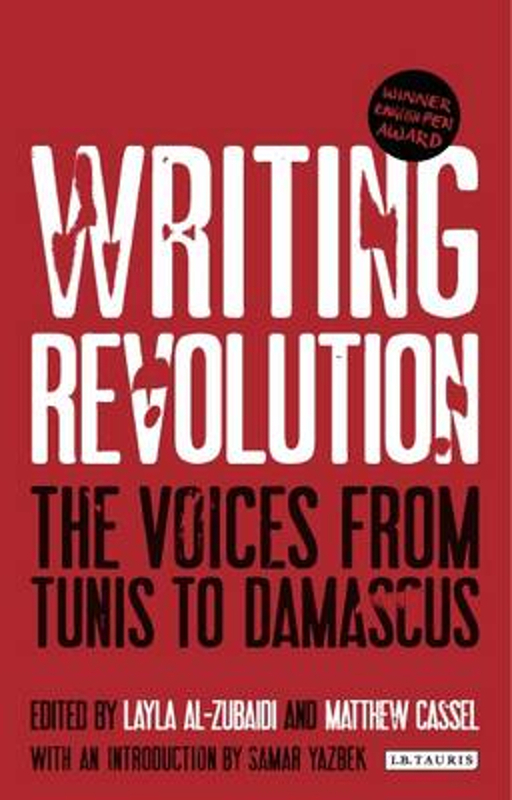 Unique amongst material emanating from and about the convulsions in the Arab Middle East, these creative and original writers speak of history, determination and struggle, as well as of political and poetic engagement with questions of identity and activism. This book gives a moving and inspiring insight into the Arab revolutions and uprisings: why they are happening and what might come next. Layla Al-Zubaidi is Director of the Southern Africa Office of the Heinrich Boll Foundation in Cape Town. She headed the Foundation’s Middle East Office in Beirut for six years, served as Program Manager at its office in Ramallah and worked for several media and development institutions. She graduated from Freie Universitat Berlin with a thesis on Syria’s cultural sector. Al-Zubaidi has published on women’s rights and issues of freedom of expression, edits the magazine Perspectives Middle East and is co-editor (with Larbi Sadiki) of Unmaking Power: Negotiating the Democratic Void in the Arab Middle East (forthcoming). She is also on the Executive Committee of Freemuse — World Forum on Music and Censorship. Matthew Cassel is a journalist and photographer based in the Middle East since 2004. Formerly Assistant Editor of The Electronic Intifada online journal, he is a journalist with Al Jazeera English and a contributor to numerous other publications. Cassel learned Arabic and about the Middle East by living and working in Palestinian refugee camps and travelling the region. He is connected to activists, journalists, writers, artists and others at the forefront of the movement for change in the region.